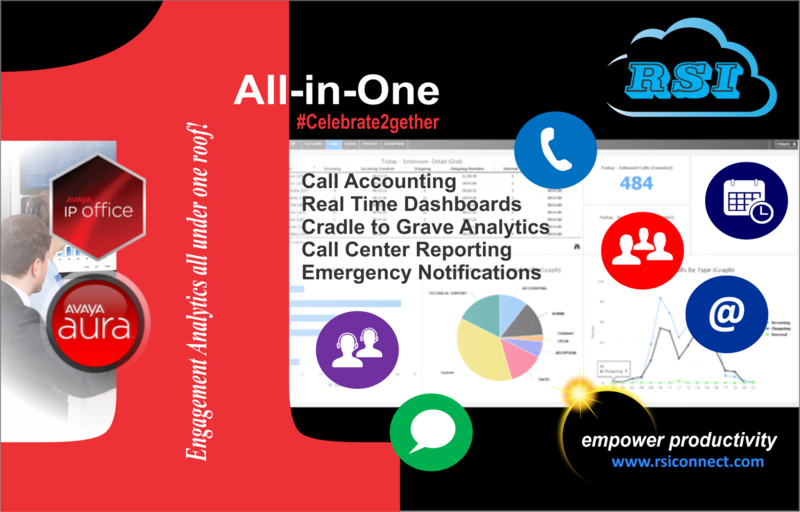 Resource Software International Ltd. (RSI) is helping Avaya #Celebrate2gether by offering a brand new all encompassing engagement analytics solution for Avaya IP Office, Avaya Aura and backward compatibility with some Avaya / Nortel legacy gear. The move is intended to allow Avaya customers the ability to manage their entire ecosystem (on the premise or via a cloud subscription) in one place without having to purchase several expensive modules. The new Shadow CMS All-in-One Analytics for Avaya includes core components such as call accounting, historical call center reporting, real time dashboards and emergency notification in one application. For business partners, it simplifies the needs analysis of a customer. Shadow CMS All-in-One Analytics for Avaya helps customers with their entire ecosystem. Cradle to grave traces, call recording playback, traffic analysis and misuse/abuse reporting are all standard fare in the new offering. Customers will enjoy huge savings from a simplified approach to managing all their Avaya endpoints.